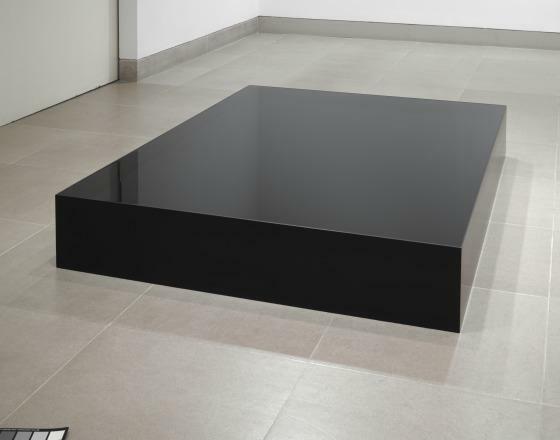 First realized in 1969 at the “9 th Contemporary Art Exhibition of Japan” at the Tokyo Metropolitan Art Museum, Phase of Nothingness-Water consists of two black-steel containers, a cylinder, and a rectangular cube, which are installed next to one another on the floor. Like most Mono-ha artists, Nobuo Sekine’s work aims to questions the traditions of Western art. Although Minimalism provided a point of departure for Mono-ha, Sekine felt it had a profoundly negative impact on Japanese modern art. 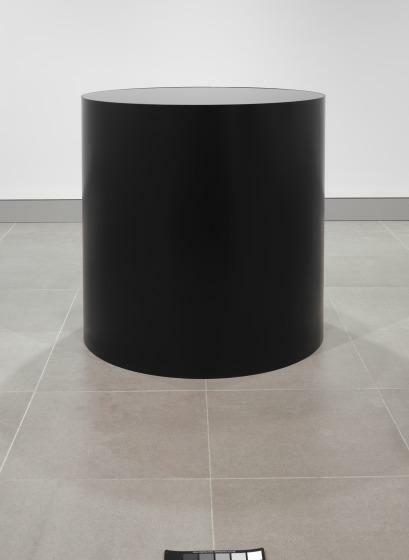 As such, with Phase of Nothingness-Water Sekine sought to call into question Minimalist principles. For example, from certain angles these geometric forms appear to have hard-edged black surfaces; in actuality, however, the containers are open and filled to the brim with water. Reflecting the viewer and exhibition space in the pool of still water acknowledges the conscientious presence of one’s movement around the object and simultaneously the fragility of the organic liquid state. 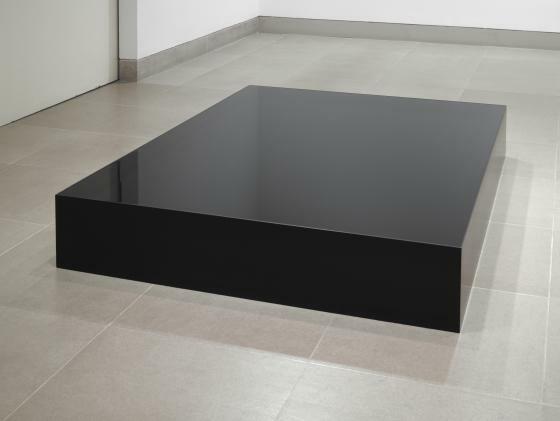 That the serenity of the surface can become distorted in an instant drop differentiates Sekine’s work from the more obdurate nature of other seemingly Minimalist art objects. Jeffrey Grove, DMA unpublished material, 2012. Read more about Nobuo Sekine's works.